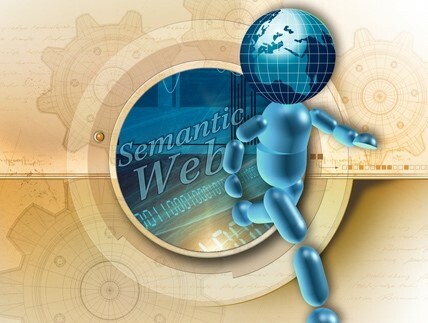 The vision of the semantic web is to connect data in order to provide a richer experience for users: enabling links between descriptive text, data sets, visual and audio media, etc., which is tailored to the user needs. The goal is to provide a technology that enables users to find relevant information from within a maze of data - and to allow them to contribute by adding their own knowledge to the available content. Zeshan, F.; Mohamad, R., Ahmad, M. N. “Context-Aware Ontology for Distributed Embedded Real-Time Systems” Accepted in the Malaysian Journal of Computer Science, IF 0.60, Quartile : Q2. 2017. Adnan Ahmad, Brian Whitworth, Furkh Zeshan, Elisa Bertino, Robert Friedman, “Extending social networks with delegation, Computers & Security”, Volume 70, 2017, Pages 546-564, ISSN 0167-4048, Impact Factor: 2.85, Quartile : Q1. 2017. Amjad Ali, Dniyato, Farrukh Zeshan, Adnan Ahmad. “RaptorQ-Based Efficient Multimedia Transmission over Cooperative Cellular Cognitive Radio Networks”. Accepted for publication in IEEE Transactions on Vehicular Technology. Impact Factor: 4.06, Quartile : Q1. 2018. Elhag, AAM; Mohamad, R; Aziz, MW; Zeshan, F. (2015). “A Systematic Composite Service Design Modeling Method Using Graph-Based Theory”. PLoS ONE , pp: 1-26, Vol: 10, Issue: 4, Impact Factor: 3.23. doi:10.1371/journal, Quartile : Q1. Abid Mehmood, Dayang Norhayati Abang Jawawi, Furkh Zeshan. “AJFCode: An Aspect-Oriented Model-Driven Code Generation Approach for Improving Reusability and Maintainability.” Submitted in Science of Computer Programming Journal. 2018. Muhammd Hamid, Furkh Zeshan, Adnan Ahmd. "Improve Continuous IT Professional Development: Exploratory Research of Challenges in Factors of Software Project Failure and Design Intelligent Recommender and Decision Support System (IRDSs) for Effective Management” Submitted in Journal of Universal Computer Science. 2018. Zeshan, Furkh, Radziah Mohamad and Mohammad Nazir Ahmad. "Service Discovery Framework for Distributed Embedded Real-Time Systems." Handbook of Research on Emerging Advancements and Technologies in Software Engineering. IGI Global, 2014. 126-147. Web. 11 Nov. 2014. Mahmood Ashraf, Sehrish Majeed, Thabit Sabbah, Furkh Zeshan, Abdul Mateen. "Comparative Analysis of Mobile Phone Usability for Younger and Older Adults” Submitted in International Journal of Advanced Computer Science and Applications (IJACSA) 2018. Hafiz Tanveer, Muneer Ahmad, Furkh Zeshan "A Penalized-Likelihood Image Recontrcuction Algorithm For PET Exploiting Root Image Size" Accepted in International Journal of Advanced Computer Science and Applications (IJACSA). 2018. Emerging Sources Citation Index (ESCI). Zeshan, F.; Mohamad, R., Ahmad, M. N., Hussain, S. A. “Ontology for Autonomous Mobile Robot System” In Ebook Series of Frontiers in Artificial Intelligence and Applications, Volume 265: New Trends in Software Methodologies, Tools and Techniques; Pages 1073 – 1085. DOI: 10.3233/978-1-61499-434-3-1073, Quartile : Q4. 2017. Zeshan, F.; Mohamad, R., Ahmad, M. N. “Ontology Based Service Discovery Framework for Dynamic Systems” IET Software, IF 0.73, Quartile : Q3. 2017. 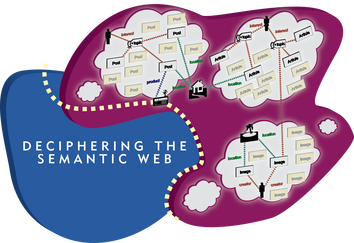 Humaira Afzal,Mahwish Waqas, Dr.Tabassum naz (2016), "OWLMap: Fully Automatic Mapping of Ontology into Relational Database Schema", pp: PP- 7-15, Vol: Volume 7 , Issue: Issue 11, (IJACSA) International Journal of Advanced Computer Science and Applications. “Transforming DSpace Database into Ontology”, Humaira Farid, Sharifullah Khan, Muhammad Younus Javed, accepted in 16th International Conference of Asian Digital Libraries (ICADL-2014), Chiang Mai, Thailand. November 2014. “Publishing Institutional Repositories Metadata on the Semantic Web”, Humaira Farid, Sharifullah Khan, Muhammad Younus Javed in proceedings of 8th IEEE International Conference on Digital Information Management (ICDIM 2013), Islamabad, Pakistan. September 2013. “Fully Automatic Mapping of Ontology to Relational Database Schema”, Humaira Afzal (2013) Submitted to the Arabian Journal for Science and Engineering (ISI Indexed and Impact Factor). Furkh Zeshan. “Service Composition Framework for Dynamic Systems”, R&D/HEC/2014.